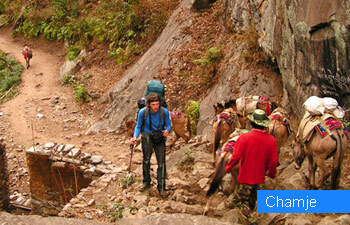 Annapurna Trek Tour is for those who want to taste the real adventure of Nepal. 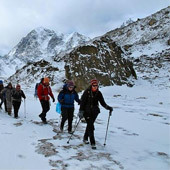 This high-on-adrenaline tour allows you to experience one of the most daring treks on the most popular trekking route of Nepal’s Himalayas. 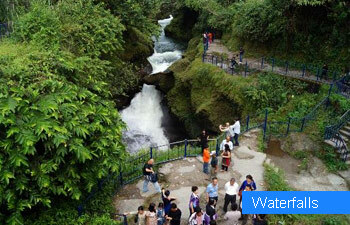 The visit not only gives a rich glimpse of natural mountain scenery, but also has lots of variety in terms of native Tibetan style villages and spectacular trekking experiences. Overall, a great trip to challenge the trekking skills. Arrival at Tribhuwan International Airport and meet and greed with our representative, Transfer to hotel. Rest of the day free for your own leisure. Trekking permit process and overnight at hotel. A steep and slippery trail runs up and down through paddy fields, passing through tiny Tibetan villages, the trail ascends through the rhododendron forest to Chamje at 1440m height. The path climbs the river through bamboo groves, we cross barely and potato fields to reach Dharapani and work an hour to Bagarchhap (2160m) site of our first Tibetan Monastery and with the views of Annapurna 2 and Lamjung Himal. Walk through the fields of grazing Yak and a wide variety of crops. This large Tibetan settlement provides good views of Annapurna2, 3, 4, Gangapurna and Tarkekang. Stay at 3570m. Walking near by the river, It is some time possible to see herds of blue mountain sheep stay overnight at Phedi 4400m. 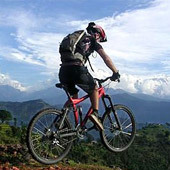 Gradually through field and popular groves, then in to Kaligandaki valley. Visiting a old Buddhist Monastery. Stay at 2800m. Nice village with greenery and open space. Days 18: Sikha to Ghorepani. Early morning climb up to Poonhil - One of the best Himalayan viewpoints in Nepal walking to the Poonhil, which provides an unobstructed view of the high Himalayas . Walk down to Hile, camp. 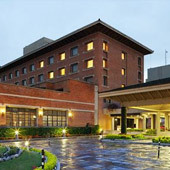 Drive or fly out to Kathmandu, Overnight at hotel. Full day rest and shopping. Evening farewell dinner with cultural Nepal dance and food. Overnight at hotel. After breakfast, transfer to International airport for the final departure. Service End.